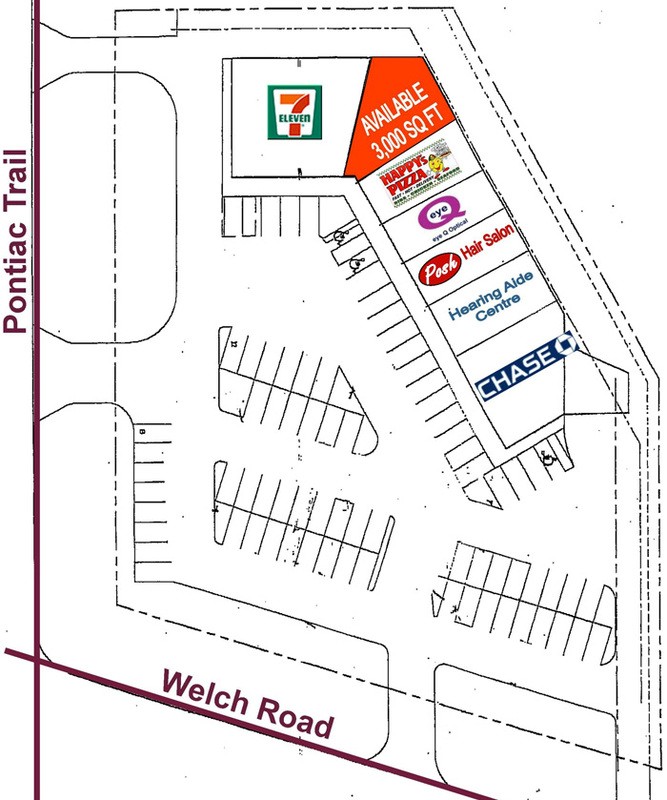 Commerce Plaza is located on the NWC of Pontiac Trail and Welch Road with plenty of parking for any use. Join a great mix of tenants including a top performing Chase Bank branch, 7-Eleven, Happy’s Pizza, Eye-Q Optical, Posh Salon and more. OVER 70,000 VEHICLES PER DAY!